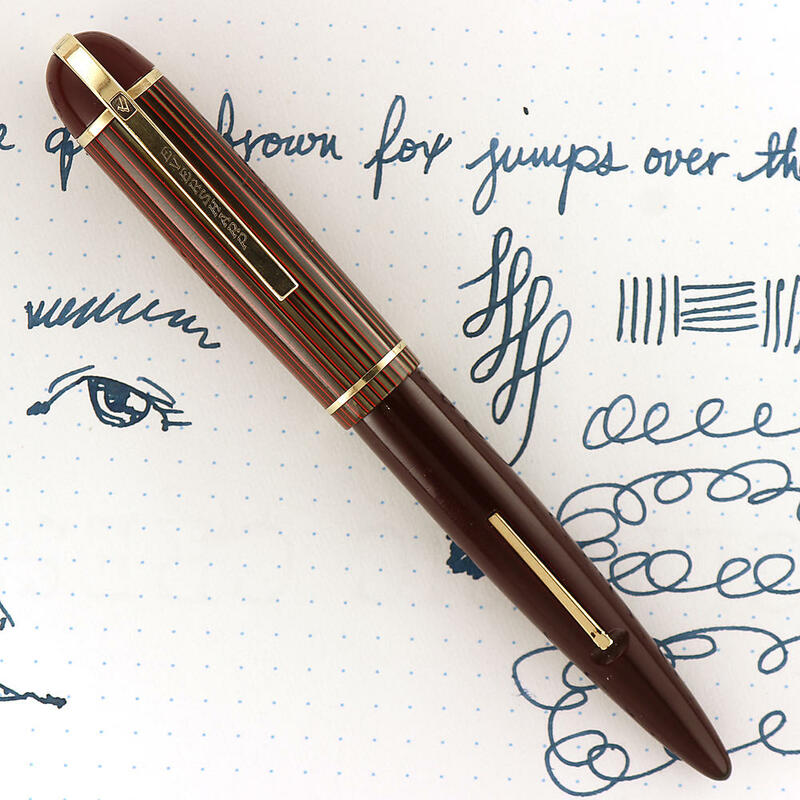 This is the Eversharp Skyline, a modern-looking pen that was produced in the 1940’s. 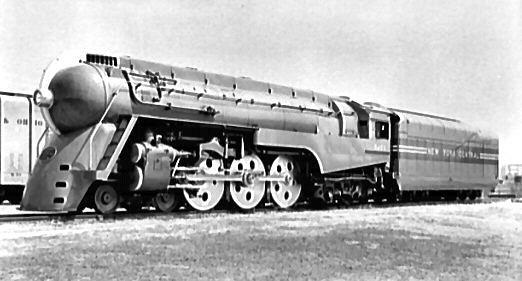 It was designed by Henry Dreyfuss who was also known for designing a streamlined steam engine. 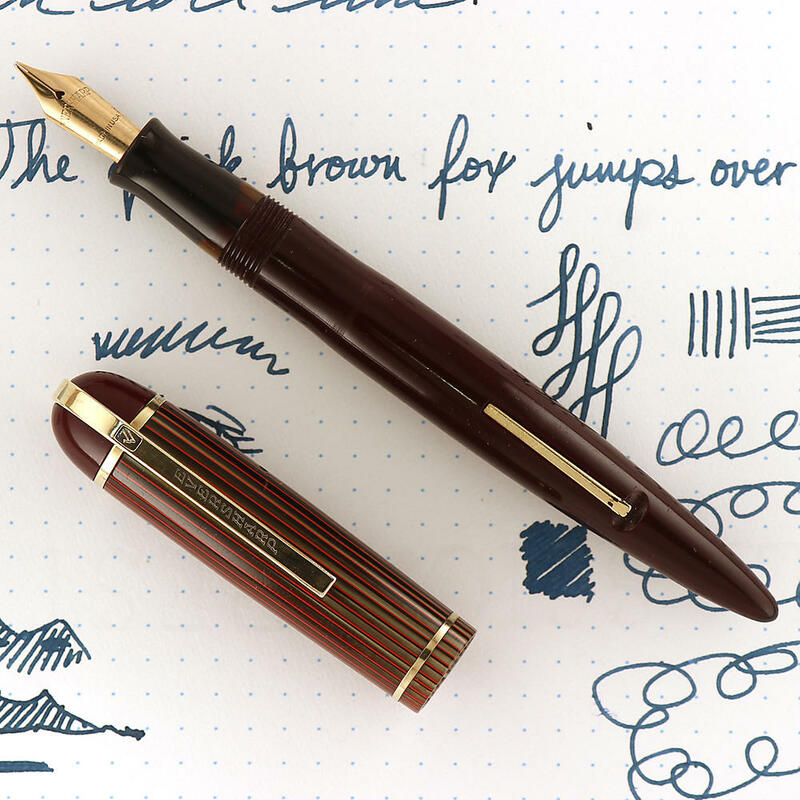 If you look at the train and the cap of the pen, you can definitely see the similarities between them. I like this pen because the shapes in it are very appealing. It has a very art deco look to it (to my eyes anyway). The colors in the striped cap are amazing; the red and amber/green play off each other nicely and kind of dance together as the angle of viewing changes. 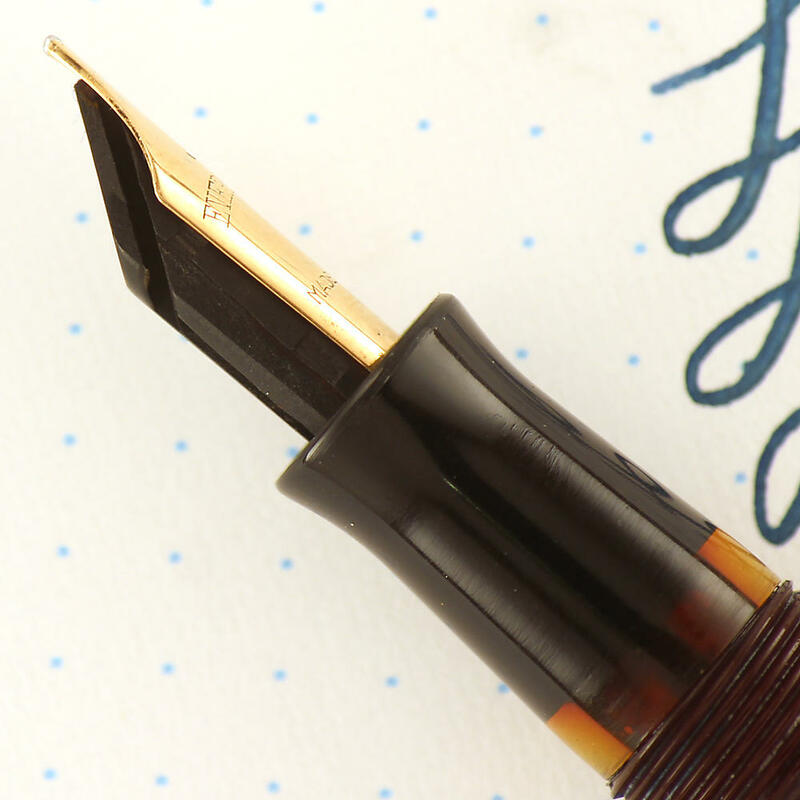 These pens often come with flexible nibs, which Wahl Everysharp is well known for. 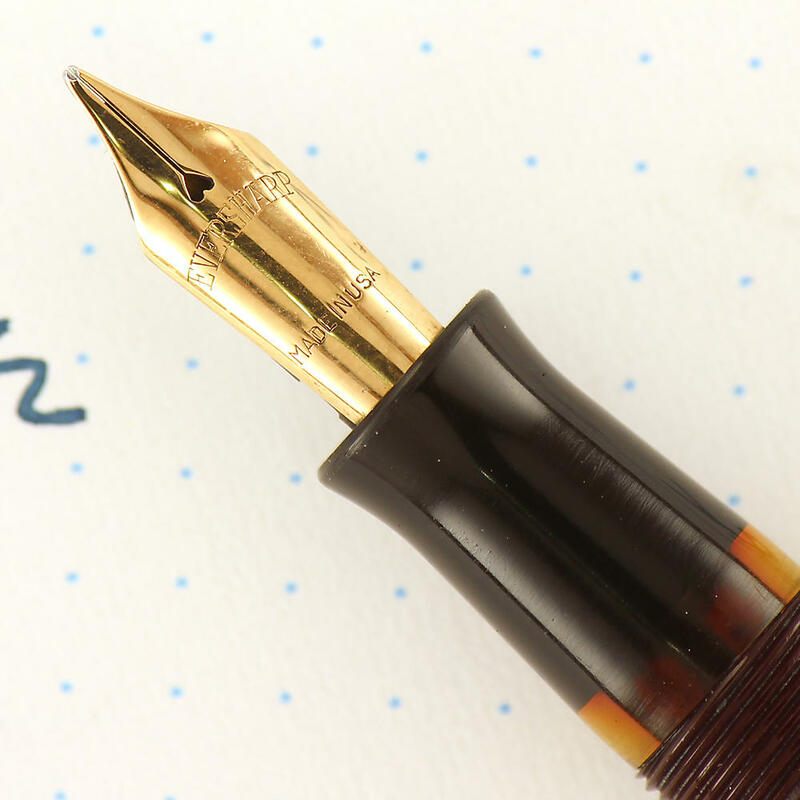 This one, however, has a firm medium/broad nib that is a very smooth and wet writer.